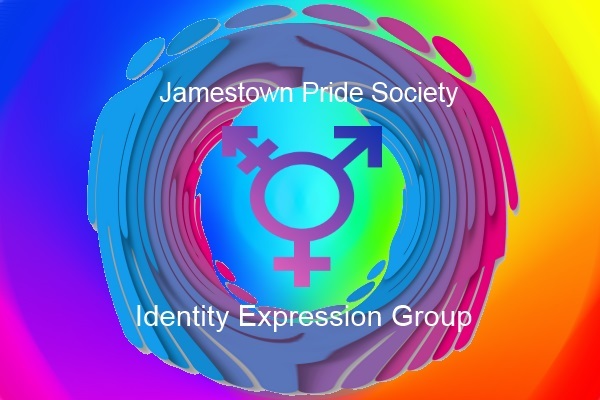 IEG is a sub-group of the Jamestown Pride Society with a focus on gender identity and expression to foster socialization, awareness and visibility in the community. The rainbow flag, commonly the gay pride flag and sometimes the LGBT pride flag, is a symbol of lesbian, gay, bisexual, and transgender (LGBT) pride and LGBT social movements in use since the 1970s. The colors reflect the diversity of the LGBT community, and the flag is often used as a symbol of gay pride in LGBT rights marches. It originated in California, but is now used worldwide. It is officially recognized as being owned by the LGBT community. Designed by San Francisco artist Gilbert Baker in 1978, the design has undergone several revisions to first remove then re-add colors due to widely available fabrics. As of 2008, the most common variant consists of six stripes, with the colors red, orange, yellow, green, blue, and violet. The flag is commonly flown horizontally, with the red stripe on top, as it would be in a natural rainbow.